Bamboo is found in abundance in the mid-eastern regions of Nepal. Unlike the other parts of the country where bamboo are only grown in degraded lands, the mid-western regions has intermittent bamboo groves even in the productive land like the rice fields. Majority of the traditional houses are still made of woven bamboo strips that are later plastered with mud. The tradition of using bamboo, however, is being viewed as being unmodern or poor because of the perceived infallibility of modern material like cement. It has now become a collective aspiration of the village to shed off the “bamboo of the past” image to adopt “modern” and “flawless” cement. Now it has become either bamboo or cement, with no compromising ground. As an attempt to glorify the use of bamboo by pushing its locally perceived limits, we have built this bamboo structure. 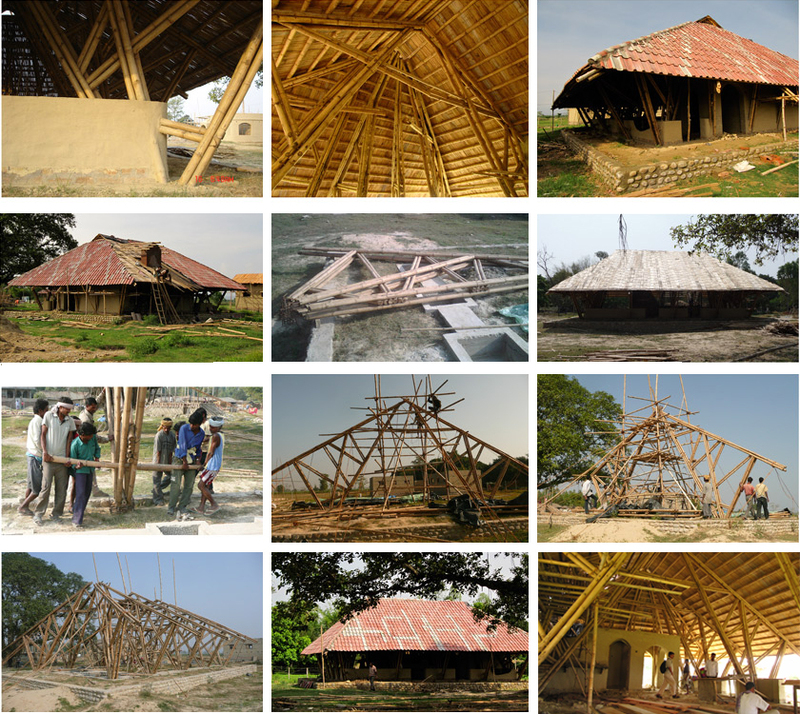 The structure has introduced new architectural elements like trusses, overhangs, multiple bamboo connections as well as bamboo treatment, and coating techniques. And believe us or not, the structure has become a real head-turner in the village.